If you think the role of the church in the Philippines has already reached a dangerous level, then you're awfully wrong. Presidential Spokesperson Sec. Harry Roque clarifies that the appointment of Iglesia Ni Cristo (INC) Executive Minister Eduardo Manalo as special envoy for Overseas Filipino Workers (OFW) concerns does not violate law on separation of church and state. Manalo's appointment papers were signed on Tuesday, February 13, according to Malacañang. "Hindi po ito bayad politikal" he states because the Iglesia Ni Cristo supported President Rodrigo Roa Duterte in the May 2016 national elections. This appointment seems to be unlawful and unconstitutional! This violates the non establishment clause of the ConsThis appointment is unlawful and unconstitutional! This violates the non establishment clause of the Constitution. So If I become President someday, I can appoint the Bishop as my Secretary? That is Crazy! This act totally undermines the current Constitution. So If I become President someday I can appoint the Bishop as my Secretary? That is Crazy! This act totally undermines the current Constitution! Hate it or accept it, you cant take away the fact that INC is big, influential and powerful. But isn't it unethical to appoint a Church leader in a government position? "Why him? No offence to INC members and leadership, some of whom are my relatives and friends. But I can not see the basis why he was appointed to such position. Also, appointing the very head of a particular religious group is not only divisive among the different faiths, there is also conflict of interest as it can be used to favour a particular group. Will he step down from his Executive Minister position in the INC because of this appointment? What happened to the so-called separation of Church and State? Is this another "bayad utang" on the part of Duterte? How many more will be appointed as a political payback for throwing their support to the current administration?" What qualifications does Eduardo Manalo have to be appointed as Special Envoy to OFWs? Manalo was appointment because of INC's 'established (and wide) network' among OFWs. 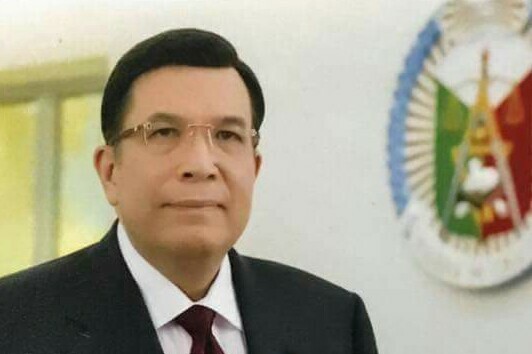 Manalo's influence as a religious head would be an asset. Manalo will hold the post from January 30, 2018 to January 29, 2019. There is urgency to provide additional assistance to OFWs. It can be filled in by Manalo’s appointment, says Roque. Why would Eduardo Manalo need a small salary from the PH government when he already is the leader of one of the most powerful PH-established Christian Churches which is the Iglesia Ni Cristo? Roque says no honorarium or budget allocation will be given to Manalo. Though Manalo is obviously affluent already, is he going to spend for his own expenses when transacting for the government? Eduardo Manalo and family, congregation of INC are the owners of the Philippine Arena in Bulacan and of Eagle News Network media and social media. So, will the Iglesia ni Cristo halls everywhere in the world be opened even to non-INC members who have OFW concerns? While I am among the first to say "separation of church and state", we have known Bro. Armin Luistro of DLSU, Fr. Rolando dela Rosa of UST, and Fr. Bienvenido Nebres of ADMU to have served in the government. Also, in Islam, there is a tenet that twines church and state. My concern is the dynamics of influence.